Editor’s Introduction: Intrigued by Samuel Digg’s character, I asked Dr. Robert G. Slawson, author of Prologue to Change: African Americans in the Civil War Era to write a brief introduction as to what the education and military service of African American physicians would have been like. Until recently the role of African Americans in medicine in the United States was little appreciated. By the time of the Civil War most of the African American physicians learned medicine by apprenticeship, as had their white counterparts in the 18th and 19th centuries. In most cases, an apprenticeship actually required signed article of apprenticeship with a practicing physician. The apprentice stayed with him for about three years. In this context, the aspiring physician would attend patients with the doctor and also was expected to read the doctor’s medical books. As with all apprenticeships, the apprentice was also expected to do some minor work around the house and office. By the Civil War, about two thirds of white physicians had attended a medical school where a more complete set of lectures were obtained. Most medical schools also included the study of anatomy including dissection of a body. An apprenticeship was still expected. African Americans were accepted in only about ten percent of all schools in the United States. Although the number of known African American medical graduates is small, it is easier to find graduates than to find physicians who learned by apprenticeship, probably because of the greater status related to actually obtaining a degree. 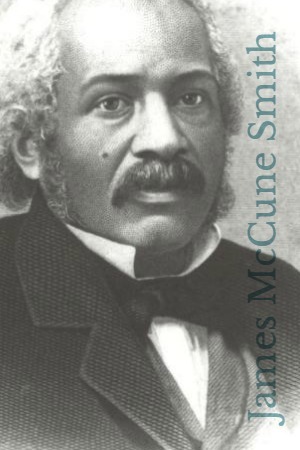 The first African American to earn a medical degree was James McCune Smith in 1837, although he went to Glasgow, Scotland, to accomplish this. David James Peck was the first to actually receive his medical degree in the United States in 1847 from Rush Medical College in Chicago. By the end of the war, at least 23 African Americans received medical degrees. This included one woman, Rebecca Lee, who was graduated from New England Female Medical College in 1864. Most of these graduates attended schools in New England, although several attended schools in Ohio and two in Iowa. It should be emphasized that many people, black and white, had a less formal training. This was particularly true in rural areas and among the African Americans. We know that some African Americans who worked in a doctor’s home assisted him with the patients in many ways and often would use their knowledge to care for other servants and friends. In most situations these “doctors” would only be caring for other African Americans. At least 13 African Americans physicians served with the Union Army during the Civil War. Three men were commissioned officers and ten served as contract surgeons (acting assistant surgeon). Two of these men had attended medical school but had not yet graduated when they received their appointments as Acting Assistants Surgeons. All of these men served with the Unites States Colored Troops or in various Freedman Hospitals, working with African American patients, or were involved in recruiting of U. S. Colored troops. 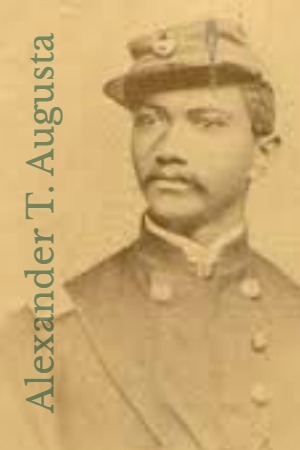 Alexander Thomas Augusta, born in Virginia and a graduate of Trinity Medical College of the University of Toronto, was the first African American to be commissioned as a major (Surgeon) in the Union Army. He was subsequently promoted to Lieutenant Colonel, thus becoming the highest ranking African American in the army for several decades. Two other men who served as commissioned officers were John van Surly DeGrass and David O. McCord. While little is known about the lives of some of these men several of them had successful careers after the war. Abbott returned to his native Canada and subsequently became the county coroner. Boseman served in the reconstituted South Carolina legislature in 1868 and subsequently became Postmaster of Charleston, South Carolina. Harris stayed in Virginia and was a candidate for Lieutenant Governor of that state in 1869 although he did not win. Revels subsequently became a Bishop in the AME church.All of these men survived the war, although Rapier died from “bilious fever” in 1866 while still on active duty. When General O. O. Howard and the Freedman’s Bureau opened Howard Medical College in 1868, Augusta was the only African American on the original medical faculty. 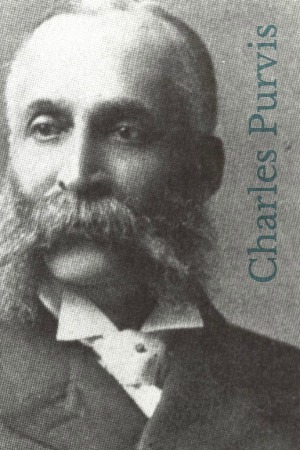 Purvis joined the faculty at Howard in 1869 as the second African American and stayed with the school for the next fifty four years. It is noteworthy that Howard Medical College, a very up-to-date facility, accept all sorts of students, white, African American, and women, making it initially the most progressive medical school in the country. Augusta and Purvis, as well as Alpheus W. Tucker practiced medicine in Washington, DC. Dr. Slawson is a 1962 graduate of the University of Iowa School of Medicine. He spent 8 years as a medical officer in the United States Army and had training in Radiology and Radiation Oncology there, ultimately serving as Director of Radiation Oncology at Walter Reed General Hospital. In 1971 he joined the faculty of the University of Maryland School of Medicine in Baltimore, MD, and remained there until retirement in 1998, although he still has a faculty position there and still works part-time. In 1983 he was awarded the degree of “Fellow” by the American College of Radiology for his work in academic Radiation Oncology. He is currently a Master Docent at the National Museum of Civil War Medicine in Frederick, MD, and lectures on Civil War Medicine as outreach for the Museum. Dr. Slawson also is actively involved in researching new topics on Civil War medicine and life of the time both for the Museum and for future articles. He has presented and published on several topics in Civil War Medicine and the times. He has had a book published on African American physician in the Civil War era: Prologue to Change: African American Physicians in the Civil War Era. Dr. Slawson is a member of the National Museum of Civil War Medicine, the Society of Civil War Surgeons, and the Society for Women and the Civil War.